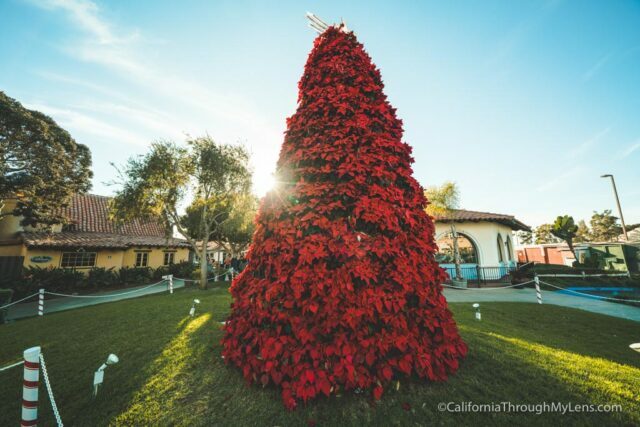 While California doesn’t have the snow and cold that ushers in the Christmas spirit for most of the United States, there are still a ton of great events that allow you to get into the holiday spirit. 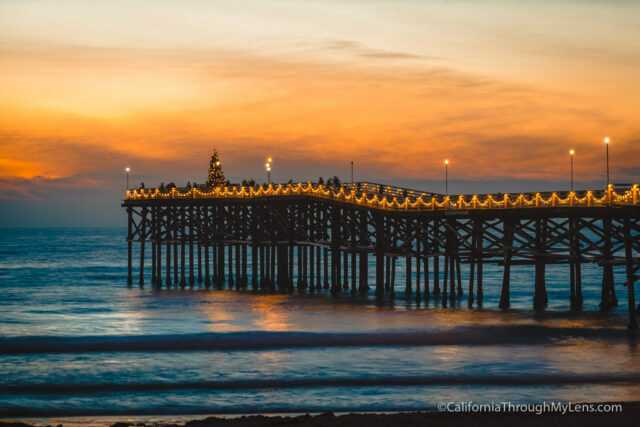 While I cannot speak for the epic celebrations in Northern California, here are my favorite ways to enjoy the holiday season in Southern California. I revisited a lot of these spots in 2016 and made a video, check it out at the end of this post. 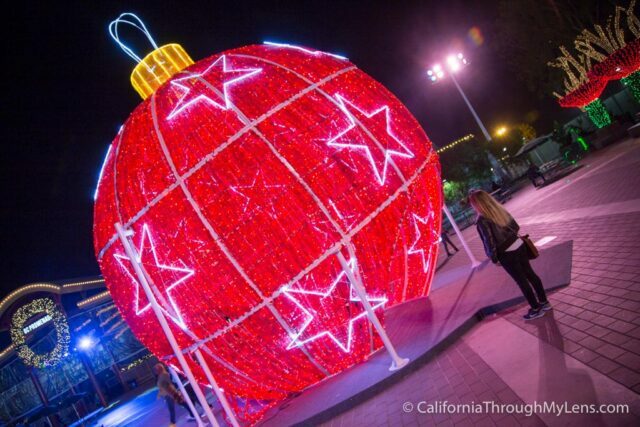 Also, you can read about Christmas spots in San Francisco here too. 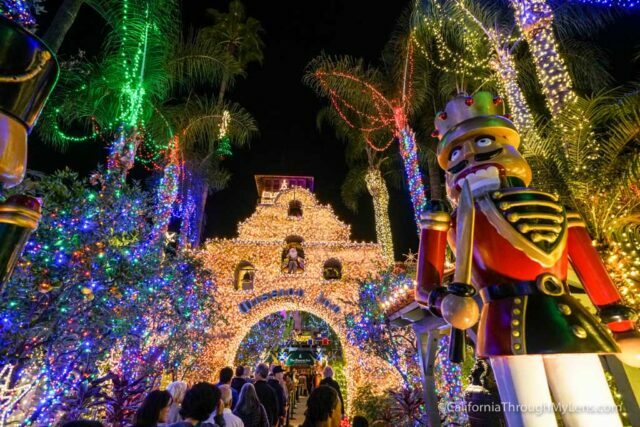 The Mission Inn is one of the premier holiday light events in Southern California. Every year this famous hotel gets wholly decked out in Christmas lights, and it creates a unique and free night for the whole family to enjoy called The Festival of Lights. 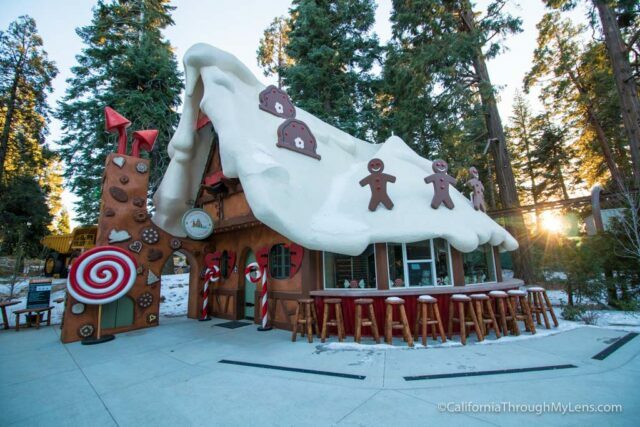 You can walk through the hotel and see their inside decorations or simply walk around the outside and up Main Street to enjoy pictures with Santa and all of the festive food treats you can eat. This is a great holiday tradition to create with your family as it is a free event that you can make as long or as short as you would like. 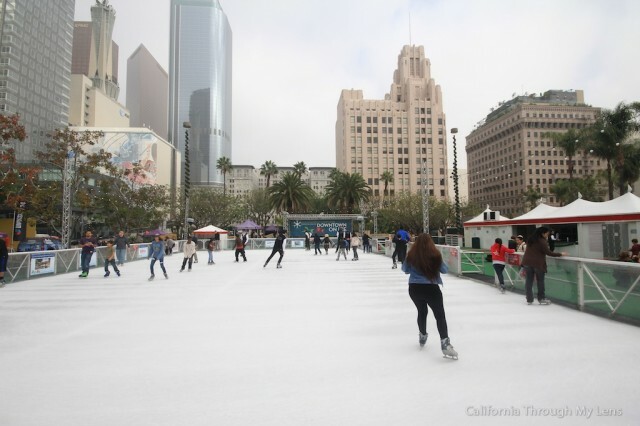 Usually open from mid-November to mid-January this vast ice rink right in the center of LA is in its 15th season of bringing a little cold weather fun to sunny Southern California. This is a great place to hang out with friends, enjoy Christmas Concerts and events and ice skate. I love making the trek down here as it’s a fun way to pretend like you live in a city where ice actually does freeze on the ground, without having to drive in it. 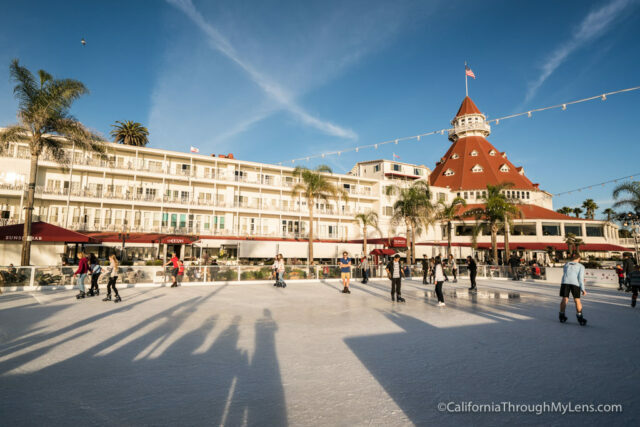 In San Diego, you can ice skate overlooking the beach and ocean at the famous Hotel Del Coronado. It is a very California Christmas thing to do to combine the beach with ice skating. 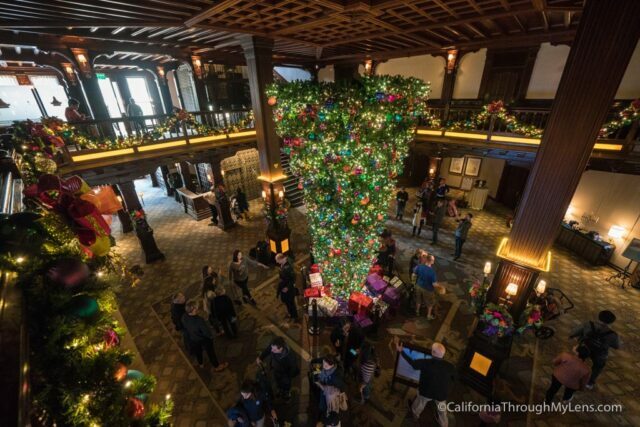 They also have a beautiful upside-down tree in the lobby that you should check out as well. For a small fee you can head over to the Griffith Park Trains and take a 10-minute ride around the 1-mile track. The track is filled with Christmas lights and other things to look at, and the train goes slow, providing a lot of time to look around. The train is a super fun thing to do for the whole family that is less than the price of a movie ticket. Check out the video below of the entire train ride so you can see what it entails. Read more about the train ride here. You have eaten a candy cane I am sure, but have you ever seen how they are made? Logan’s Candies is a unique shop with 80 years of history that is still making candy canes the same way they were in 1933. During the Christmas season, they have excellent free demonstrations that will show you how the candy cane is made from start to finish. After the presentation, for $1.50, you can even get a warm candy cane that you can mold however your heart sees fit, sure to be a fun adventure for the whole family and may also become a new tradition. More information here. 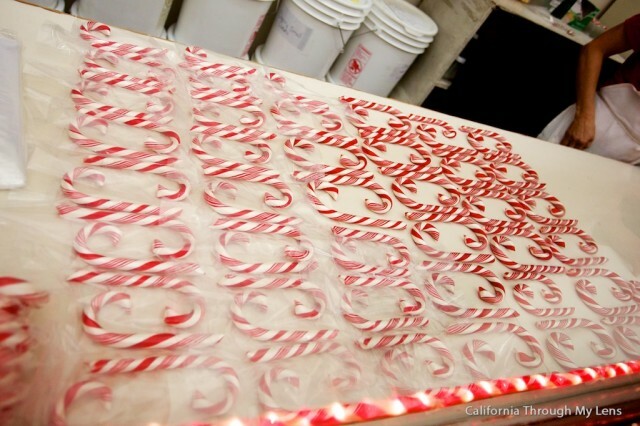 One of my favorite things to do for Christmas in Southern California is to head over to Logan's Candy in Ontario and watch their candy cane making demonstrations. Be sure to check it out for yourself and don't leave without buying a nice warm candy cane! 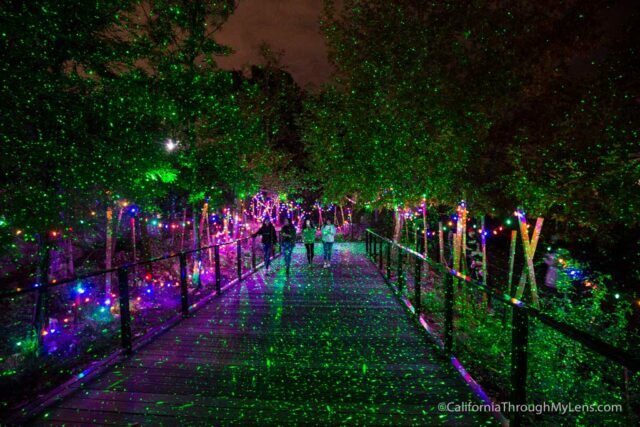 Robolights is an 8.4 million light display on 4 acres in Palm Springs. It is full of strange statues and impressive creations. I loved visiting this spot, and while it is an unusual place for sure, I can easily say it was an entertaining way to spend a California Christmas night. Read more about it here. 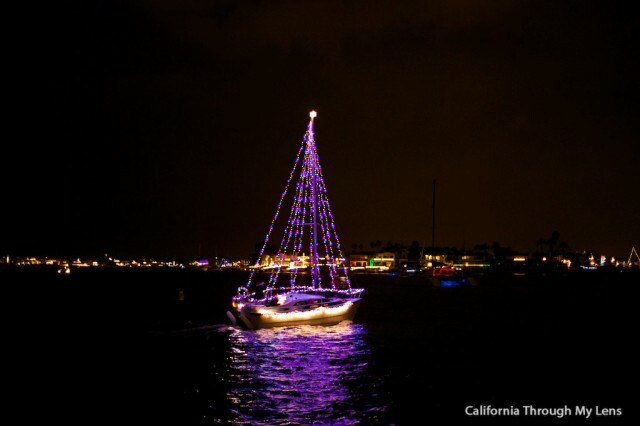 Called one of the ten best holiday happenings in the United States, the Newport Boat Parade is a truly unique event. Every year for the last 100 people have participated by designing their million dollar yachts to enter them into this four-day parade. It is not even crazy to hear people have spent over 50,000 dollars just decorating their boats. While this is excessive, there are some fabulous decorations. You can read my post about how to watch it here. 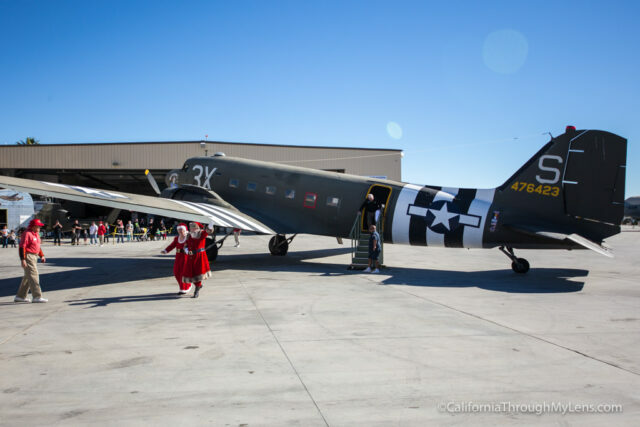 Each year Santa “flys” into the Palm Springs Air Museum to visit for two days. It’s fun to see the old plane land with Santa and Mrs. Claus on board. Check the dates, so you don’t miss it. 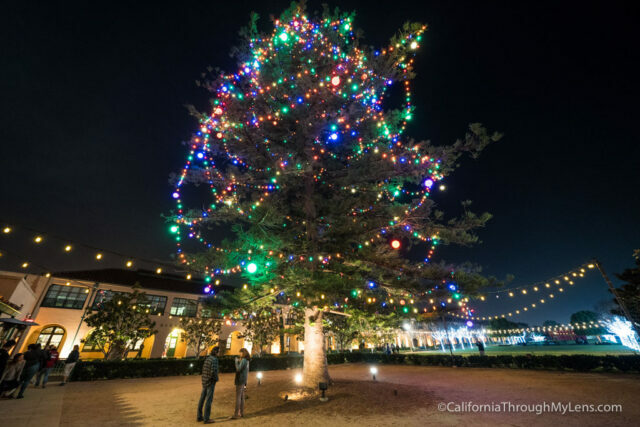 Liberty Station in San Diego is a great spot to explore any time of the year, but during Christmas, they have an ice rink that they set up as well as a large tree they add lights to near Stone Brewing Company. This was an event I went to for the first time in 2016, but I have to say it was pretty impressive. The zoo itself is large, and there are a lot of places to explore. 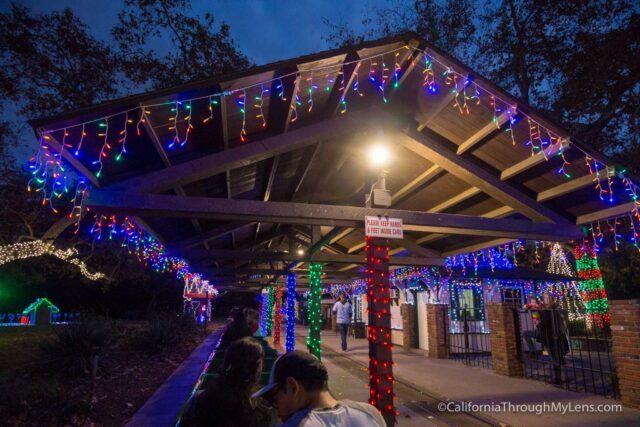 Many of the walkways are filled to the brim with lights, and there is music and a water show on the property. Add to that the fact that you can see some of the reptiles on display and you have the recipe for a fun Christmas adventure. Read more about it here. 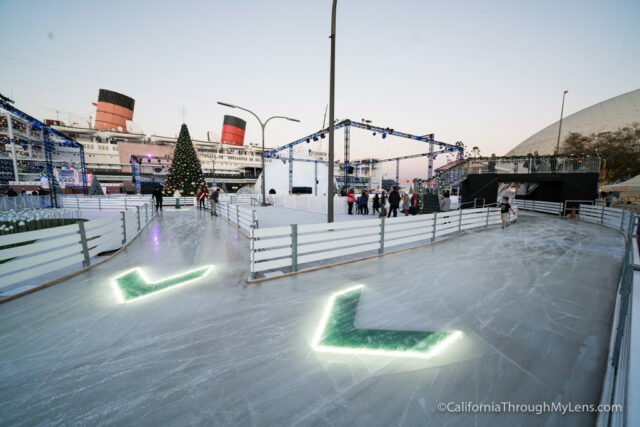 Chill is a winter wonderland located right next to the Queen Mary. Each year they have a different theme, and it has ranged from A Christmas Carol made of ice sculptures in 2015 to an immersive digital exhibit on Alice and Wonderland in 2016. Each year they also have ice tubing, ice skating a North Pole village and a giant rocking horse, among other attractions. Read more about it here but I think they may be changing it up for 2018. Nothing says California Christmas like a visit to the beach. Luckily a few of the beach towns decorate their piers for Christmas. The two main ones are the Pacific Beach Pier with its wreaths and tree (above) and the Manhattan Beach Pier with its tree made of lights. 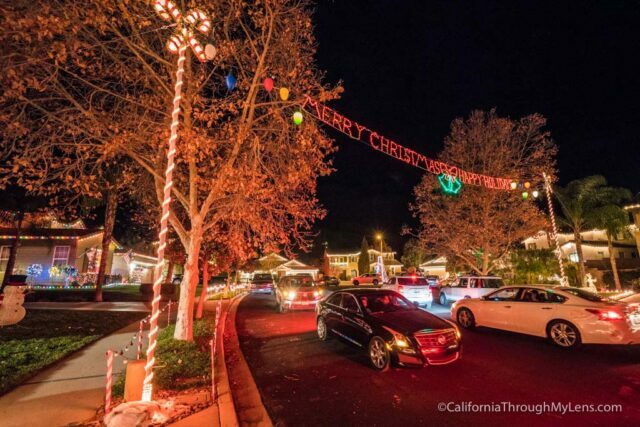 As many have mentioned in the comments, Thoroughbred St in Rancho Cucamonga is a great free way to get into the Christmas spirit. Every year after Thanksgiving the neighbors start to decorate their houses and people begin flocking to this small street. The neighbors are out interacting with all the passers-by, and some even sell hot chocolate and churros. You can take the whole family and have a pleasant stroll, but make sure to respect people’s properties as they do this out of the kindness of their hearts. Manning St. is a small residential street in Yucaipa, CA, but they have one of the best Christmas light displays I have been too. The entire street with multiple houses is set up to coordinate with the music that you listen to on your car stereo as you drive through. It is a blast for the whole family but do note that it gets busy with traffic during the latter part of December. Learn more about the display here. 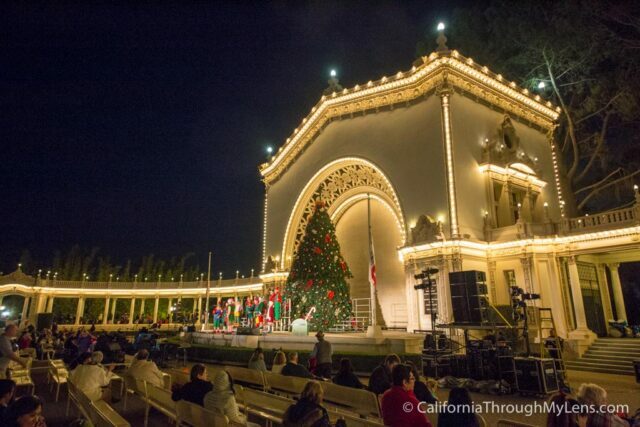 For the 39th consecutive year, Balboa Park becomes a beacon for Christmas in San Diego. Located in El Prado, this event is visited by over 300,000 people each year and features dozens of vendors, concerts, food, and entertainment. Add to that the fact that the museum themselves usually open their doors free of charge for a few hours during the event, and you have the recipe for a fantastic night full of holiday spirit. Read more about it here. Seaport Village is a fun little shopping area in downtown San Diego. During Christmas through they put up a 25-foot tall Pointsetta Christmas tree and have some lights decorating the shops. It’s a lovely time to walk around the area. 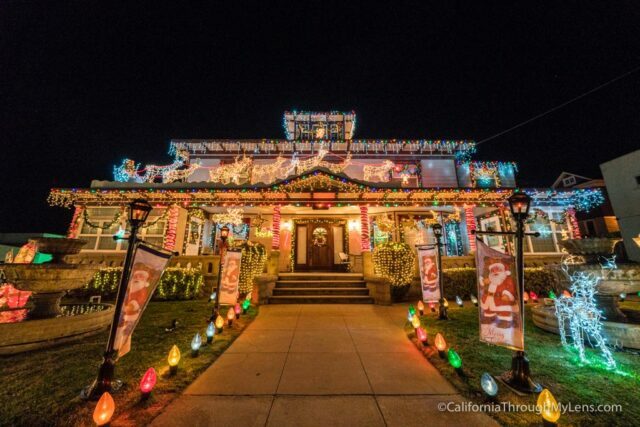 This 100-year-old house is a real estate office during the day and a Christmas masterpiece at night. 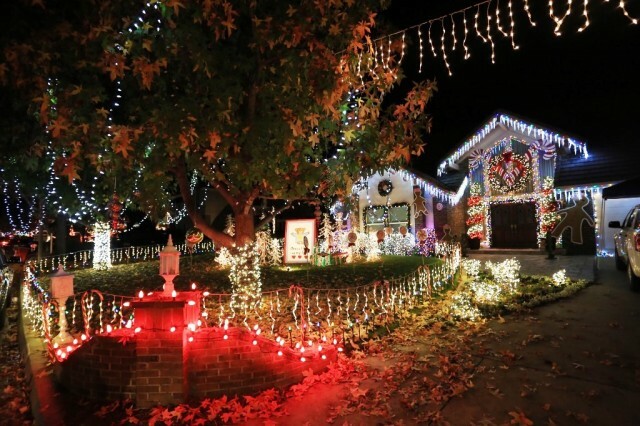 The house is extravagant with its lighting display, and even though you just look at it from the street, it is still worth the visit. Little Italy is in the north part of Downtown San Diego, and they have two of the Pointsetta Christmas trees that you can find along the street. They also have nutcracker statues along the sidewalk and white Christmas lights in the trees. 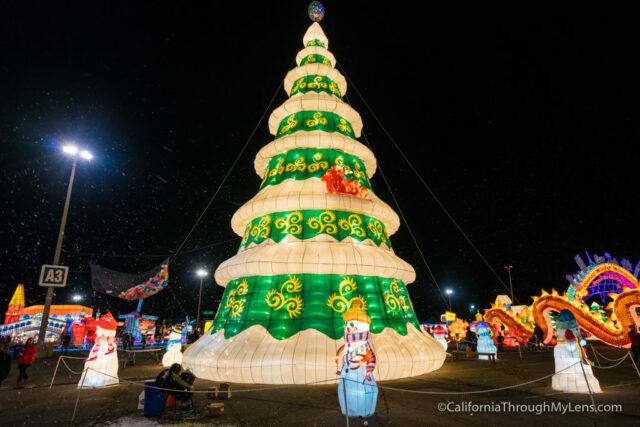 In both San Diego and Sacramento, Global Winter Wonderland is an event full of lit up attractions. The San Diego one takes over the stadium parking lot and fills it with lit up displays from around the world. It can be pricey, but it’s a unique Christmas adventure. If you are looking for a traditional day in the snow, buy a lift ticket up to the top of Mt Baldy. At over 8,000 feet of elevation, this area has snow for the family to play in (weather permitting), snowboard, hiking, and even a restaurant if you want to relax and take in the views. I love heading up here to snowboard, but even if you are simply playing around in the snow or watching a sunset, it is a fun way to get a white Christmas in Southern California. 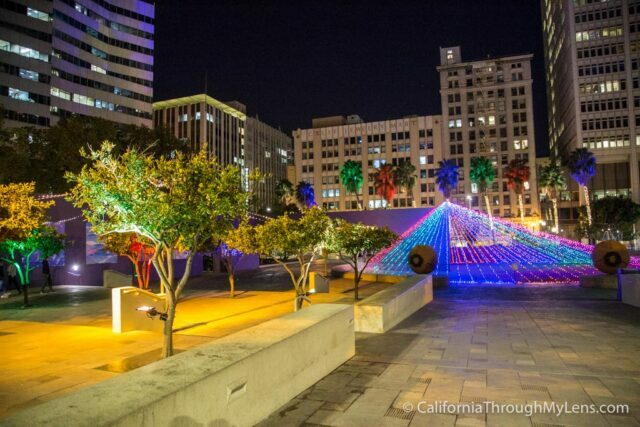 If you are looking to get the blood moving, then consider a walking tour of downtown Los Angeles which can take you to a lot of the spots that light up for Christmas. You can read about my time on the tour here. 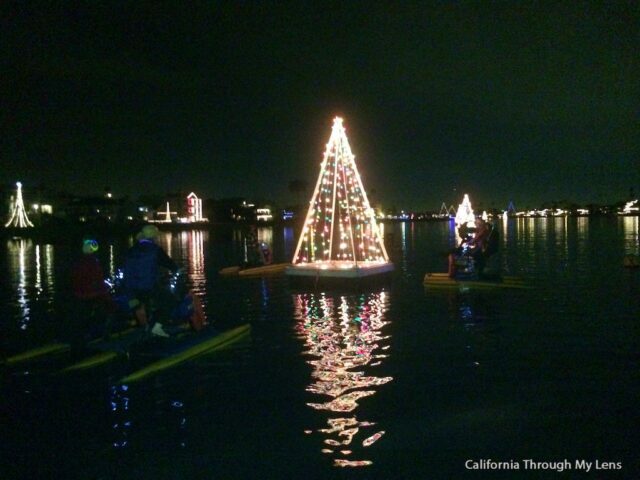 Another super unique way to see the California Christmas lights would be to take a hydro bike along the harbor in Long Beach. This is an active and fun experience which lets you see all of the houses up close. I was surprised by how much I enjoyed it and how easy it was to learn (your legs will be tired though). Often there are deals on Groupon or Living Social for this as well. I got a chance to walk around it before it opened but I haven’t seen it in all its glory with guests yet. I added it to this list as it gives me nostalgia of the fun times I had in the old park growing up. I will be updating this post when I get the chance to visit it when its open. The Living Desert, which is outside of Palm Springs, is a great spot to get a unique Southern California Christmas experience. 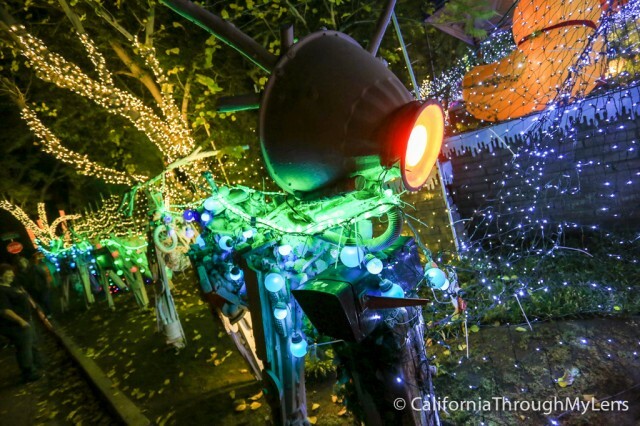 Full of creatures from the desert, the park adds thousands of holiday lights for you to stroll under as you explore. More info here. Orange County takes over one of the fairgrounds for this annual winter event that usually features ice skating, food, performances and ice tubing. Read more about it here. 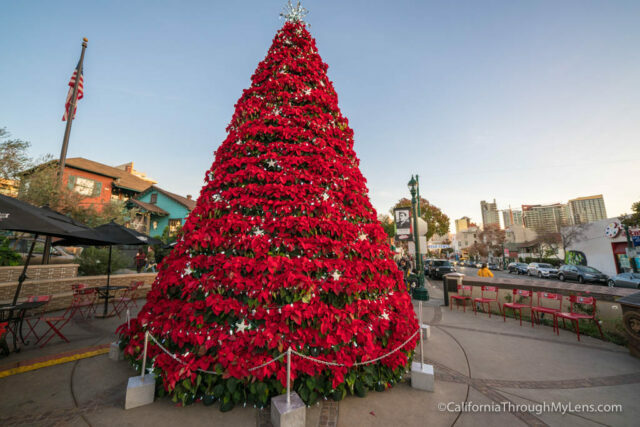 This is probably the most well-known recommendation on this list, but if you visit any of the theme parks in Southern California during the holiday season, then you are in for a treat. 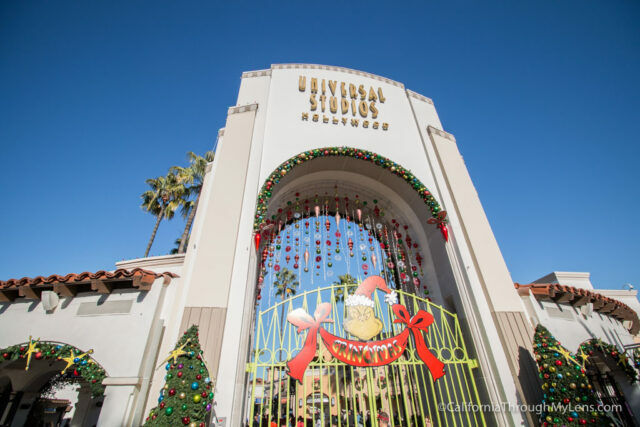 Everything from Snoopy and Mickey to the Grinch and fake snow greets you when you walk through the gates at one of the parks. Check out this video I made for some of the fun spots on this list. If you feel like you want an adventure, then here are two Christmas road trips you could go on. 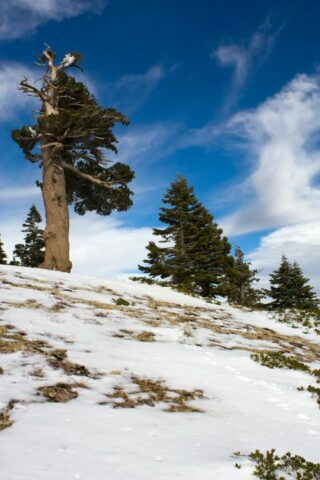 The General Grant Tree in Kings Canyon National Park was deemed the nation’s Christmas tree in 1926. 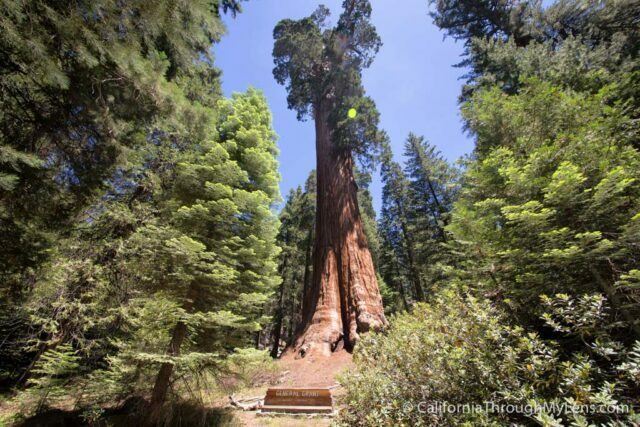 So a real Christmas adventure would be making the trek up to the national park to pay homage to this massive tree. Here is a video I made of visiting the tree for Christmas. Next, at about 3 hours from LA, Solvang is a great place to stop if you are driving up Highway 101. I recommend grabbing a hotel and spending the night to see all the decorations in this historic little Danish town. 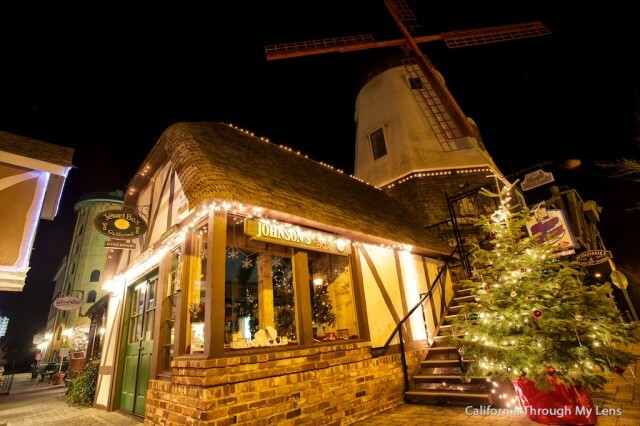 You can see my pictures from my time in Solvang for Christmas here or check it out for yourself. Make sure to grab a treat from one of the bakeries; there is a lot of excellent bakeries up there. So there is my list, I would love to hear if you think I left something off as I am always looking for new adventures. Make sure to leave them in the comments. Also, if you are visiting San Francisco during Christmas, here are a bunch of fun things to do there.